With its commitment to researching the rules of the dynamics of life, the study of Image Medicine is a display of what happens when the life sciences are put to work within the framework of orthodox traditional Chinese medicine theory. Professor Xu Mingtang follows the rules of circulation in the human body. Through the techniques of Image Medicine he finds where the rules are being broken—and then quite simply fixes things, sending the body down its proper path once again. Tucked in a small street behind Beijing’s Art Museum stands a large, white building emblazoned with the words “Kundawell Institute”. In the midst of this thriving city, the quiet and unassuming structure belies the miraculous healings that take place behind its doors. Inside, with a first-time Russian patient in his healing research office, Prof. Xu Mingtang asks no questions about his condition; instead, he merely narrows his eyes and starts his diagnosis by feeling the man’s pulse in the traditional manner of traditional Chinese medicine. Not ten minutes later Doctor Xu states that the patient suffers from diabetes, and then goes on to say that the he has a hole in his stomach. Startled, the patient lifts his shirt to reveal a wound on his abdomen that penetrates his pancreas, and leaves him suffering from diabetes. Having relied on none of the modern medical technologies ranging from X-rays to magnetic resonance imagining to CT scans to offer this speedy, accurate diagnosis, Doctor Xu leaves all in attendance utterly convinced. This is not a scene out of Hollywood movie, but just another day in the office using Image Medicine, or Xiangyi, for Prof. Xu Mingtang. In fact, day to day life in Kundawell can read just like something out of a Tang Dynasty fairy tale. A trip to Kundawell is like a trip overseas. The institute is filled with students of all colors of skin and many nationalities, all of whom came to Beijing out of an interest in Image Medicine. In this research institute where one is surrounded by an almost classical atmosphere, East and West come together in a way rarely found elsewhere. It seems as though almost anybody who has encountered Image Medicine utters the word “miraculous” in a reverent tone to express their respect for the art. But just what is Image Medicine? What exactly is it that has been heaped with such praises and caused people to transcend national and cultural boundaries in order to learn its valuable secrets about life? Perhaps the only way to know is to take a look inside. The revered story Bian Que Jian Qi Huan Gong (Doctor Bian Que Observes Prince Qi Huan) has been passed down for more than a thousand years, and it has stood the test of time as the classic tale of diagnosis-at-a-glance. That Doctor Bian Que could take a single look at a patient and then know the ins and outs of his or her illness is a concept well beyond the realm of modern people’s understanding. How could a mere glance penetrate the skin, revealing the entirety of a patient’s body? Heard today, ancient Chinese medicine’s miracles can seem as though locked in the fantastic legends of a long-gone era, their essential meaning difficult to comprehend to listeners raised in the modern world. With his penetrating glance, Bian Que did not rely on reasoning or speculation to diagnose the state of Prince Qi Huan’s organs. So what exactly did he see? Prof. Xu Mingtang explains, what Bian Que did is no different than what Image Medicine calls “glimpsing within” [望内], a skill which gives the healer knowledge of both the body’s inner reality and the external manifestation of that reality, or in Chinese, zangxiang [藏象]. The xiang of zangxiang can be translated as Image, but it is important to see that it does merely mean a literal image of the internal organs. The word “organ” quite simply refers to the fleshy material which may be felt with the hands. The “image” obtained by an Image Medicine healer is an abstract, transparent, and multi-faceted display of the internal organs’ entire state of being. Chinese medicine’s well-known pulse diagnosis technique can be divided into two types: that which looks at the pulse’s feeling, and that which looks at the pulse’s condition. Most commonly encountered is diagnosis which looks at the feeling of the pulse as it is read via the fingertips. After gauging the feeling, the doctor then uses his or her knowledge of what different types of pulses indicate to make a logical inference about the patient’s condition. On the other hand, the less common type of pulse diagnosis, called maixiang, finds the pulse’s actual condition. This word, xiang, or “image,” is also the xiang of maixiang and is the same word that shows up in zangxiang, and in “Image Medicine.” It means that to the doctor skilled in this kind of pulse diagnosis, not merely the feeling of the pulse but the internal reality of the body is revealed. Doctor Bian Que’s diagnosis-at-a-glance included both “seeing the outside” and “seeing the inside.” When he saw the outside of a patient’s body his eyes obtained information about the spirit, shape, and form of the illness, which allowed him to analyze the patient’s internal condition; when he saw the inside, Bian Que’s mind found the image of the body’s internal reality. Diagnosis-at-a-glance requires that one reach a level of perception and understanding at an individual level before one can understand its essence–simply hearing the theories described will not give on any idea of what “image” really means. Because of this, very little written material about the system has been passed down through the ages. In fact, throughout the history of Chinese medicine, there have been two great schools of study, one stemming from Bian Que, and the other which traces its lineage back to the great Yellow Emperor. The earlier school is that attributed to Bian Que and Hua Tuo (another giant in Chinese medical history, he is attributed with being the first person to use anesthesia during surgery and the creation of Five Animal Frolics qigong–after his execution in the year 208 his written works and his techniques were lost to the world), and is known as the “image school.” Under the direction of this school of thought, therapy used to treat illness externally includes stimulating acupoints, acupuncture, moxibustion, and guasha. Through the course of history, people’s way of thinking about medicine gradually moved from the ways of the image school to a very logical approach to healing found within the school of thought that is traced back to the Yellow Emperor’s Classic of Internal Medicine. Because the image school’s methods of diagnosis and treatment remained resistant to textual explanation, texts passed down to current generations by the school proved relatively few. After Bian Que’s medicine fell out of favor with the imperial court, the image school fell from the public eye and one by one its adherents scattered throughout China, while the heavily literary theory of medicine codified in the Classic of Internal Medicine was passed down systematically to later generations. The lion’s share of today’s Chinese medicine therefore “investigates to treat holistically” instead of “seeing to treat holistically.” With Bian Que’s school of thought having all but disappeared over the last thousand-odd years, many today mistakenly find the miraculous form of medicine fantastic and bizarre, and all the more mistakenly conclude that Bian Que’s skill could never be duplicated. Prof. Xu Mingtang has not only unearthed and propagated the old ways of the image school, but standing on his inheritance of Bian Que’s ways of diagnosis and treatment, has successfully established today’s Image Medicine system. Xu has not merely succeeded in duplicating the “legend,” but has enhanced it. According to the Chinese Medicine Science Institute director Sun Yongzhang, Image Medicine has proven to be an excellent supplement to today’s Chinese medicine. Bian Que and Hua Tuo’s medical philosophy alongside the image school thought illustrated in classics like the Book of Changes (Yi Jing), Dao De Jing, and Zhuangzi all provide an excellent theoretical foundation for Image Medicine. Furthermore, as Image Medicine penetrates most deeply into Chinese medicine via use of the theory of energetic meridians, when one starts with an understanding of the meridian system, one can quickly grasp the image school thinking Prof. Xu Mingtang has brought to light. When the Buddhist Heart Sutra expounds, “form is emptiness, emptiness is form,” it is to express that all manifest things are, at essence, empty of inherent and immutable characteristics; that the superficial world people know is empty of inherent and immutable characteristics; and that all displays of form rely upon the activity of the mind for their apparent existence. The Chinese Buddhist word for emptiness, kong, is expressed in Daoism as wu, or the primordial chaos that has yet to come into being. In Image Medicine, the formless is the image. What is meant by image cannot be explained as material, energy, nor information. What it can be called is none other than the very laws governing life’s unfolding and evolution in the cosmos. The Chinese term for the word “image” in Image Medicine is yixiang, and contains the same xiang encountered earlier in this essay. In yixiang, yi refers to thought and conscious awareness, while xiang, in the most simple terms possible, can be thought of as an image of the patient’s jing (physical body), qi (subtle energies), and shen (mind and spirit), as well as the characteristics of his or her illness. This image, however, is something subtle that is seen in the practitioner’s mind’s eye; it is not in the form of a drawing that could be seen with the eye. To be seen as a type of medicine, a discipline at the very least must possess a theoretical system, a system of diagnosis, and a system of treatment–Image Medicine is no exception to this rule. So how does Image Medicine fit in? Prof. Xu Mingtang gives the following answer: taking humans as its foundation, Image Medicine sees people as composed of the three basic elements of jing, qi, and shen. Illness can therefore be considered as afflictions of either the physical body, the subtle energetic system, or the mind and spirit. Using Image Medicine, the physician employs the processes of pulse diagnosis and visual diagnosis, and all the more so “image” diagnosis, to directly see the state of the patient’s life. By changing the image, and constantly being aware of it as it changes, the Image Medicine healer is able to put the patient back on the road to health. One could also say that Image Medicine is the product of the unearthing of Bian Que’s school of thought and then combining it with the modern world’s knowledge of life sciences, biology, and quantum physics. It is an environmentally-friendly, fast acting and medically efficacious way to take care of human health; a branch of learning that offers new approaches to conquering all kinds of chronic, difficult-to-treat afflictions. Image Medicine heals via changing images; the goal of treatment is to recover optimal health as it appears in the zangxiang, the internal state of the patient’s organs and the outward manifestations of those states. The power of images can be seen in the way dreams can trigger bodily functions. For example, one can urinate due to a dream, laugh or cry out during a dream, suffer nightmares, experience nocturnal emissions, sleepwalk, and so forth. The above all amply proves that images both control and influence the physical body’s activities. Treatment in Image Medicine is directed by this principle. In using a patient’s back as the platform for healing, orthodox traditional Chinese medicine doctors employ pressing/pushing, the application of pressure, pulling, dragging, and medicaments in the form of creams and pastes. The results of such methods, however, are rarely pronounced. In Xu Mingtang’s eyes, starting with the front of a patient’s body is very reasonable. The belly is soft and pliable, as opposed a place like the back which is not pliable and tends to encase bone. If one does not pay attention to the fact that hard areas hold bone, it is easy to cause problems by applying pressure when trying to heal. Image Medicine adheres to the natural biological principles of human life, and it has already transcended the scope of orthodox traditional Chinese medicine by extending itself into the life sciences. Orthodox traditional Chinese medicine’s “investigating to treat holistically” approach to illness often uses pulse examination to enable healers to diagnose through logical deduction. Image Medicine also employs pulse diagnosis, but instead of making logical deductions based upon the feeling of the pulse, the Image Medicine healer directly sees to the “image” of the pulse, which reflects the zangxiang, or actual state of the internal organs and the outward manifestation of this state. The healer is then able to precisely target his or her healing to address abnormalities he or she has perceived within the zangxiang, instead of crafting a healing regimen based solely upon the powers of intellect. In clinical practice in six countries and over the span of more than two decades, Prof. Xu has proven that Image Medicine very often produces instant results. It has successfully treated Crohn’s disease, atrophy, illness of the cervical vertebrae, vertebral disc herniation, asthma, childhood epilepsy, deafness, blindness due to illness, cardiac infarction and its aftereffects, diabetes, and more. Especially with regards to “informational illness,” Image Medicine produces unique results. According to Prof. Xu Mingtang’s experience, the body’s interior can be home to bad memories which, when removed, allow the patient to heal. Organs not only have the ability to remember pain and strife, but to hold information related to all kinds of emotional states much as a computer can become embedded with its program defaults. Prof. Xu Mingtang once encountered a patient who always felt a pain in his right foot, sometimes to the point of being unbearable, but his foot had already been amputated! The patient had visited a number of hospitals for help but to no avail. By finding the illness’s “image,” Prof. Xu Mingtang was able to find the place in the patient’s brain where the pain in the amputated foot had left a deep, negative impression. Xu removed the negative memory and the patient was promptly freed from the phantom pain. Not long after I interviewed him, Prof. Xu Mingtang succeeded in healing a bone cancer patient who was very soon to lose both legs to amputation. Using reproducible Image Medicine techniques, Prof. Xu was not only able to save both legs, but to utterly eradicate the cancer cells, leaving not a trace. One could put it this way: Image Medicine does not simply treat disease–it directs the body to return to its original state. Because of this, Image Medicine stands upon a foundation of seeking the original state of life, its efforts invested in understanding the scientific principles that govern life’s operations. One might also say that Image Medicine is a display of the life sciences within the bounds of traditional Chinese medicine. The extraordinariness of Prof. Xu’s techniques comes from their adherence to the basic principles of life. Through the use of Image Medicine he has discovered what kind of phenomena represent a violation of these principles, and his methods seek to correct the violations, putting patients back on the road to good health. We Chinese have traditionally had the impression that, in terms of Chinese doctors, the older the better. In other words, until a doctor has accumulated at least ten years of experience, if not decades and decades of experience, there is no way he or she could have reached a level of excellence. Prof. Xu Mingtang’s Image Medicine, however, has toppled this thinking. “Image” diagnosis and therapy is neither a mystery nor a special ability. It is replicable, teachable, studyable, and graspable. Not only the young but even those with nary any medical background can, through the Kundawell curriculum, become excellent traditional Chinese medicine doctors. 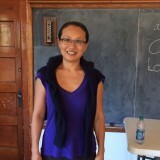 In the Kundawell classroom, one can find students already grey at the temples, as well as students so young as to have not yet shed the air of children. There are senior medical specialists alongside hobbyists utterly without formal training. Beside students from all across China sit those from far flung nations, and it is Image Medicine which has taken these wildly different people and gathered them under a single roof. Ages, specialty, curriculum vitae, and nationality are not the standards of measure in Image Medicine; rather, the distance between students is measured in terms of their innate capability to understand the modality. And yet, through hard work even this distance can be eliminated. By rough estimate, using Image Medicine diagnosis and treatment methods, Prof. Xu Mingtang has succeeded in completely healing more than 10,000 cases of difficult illness, while at the same time giving approximately 50,000 students a solid grasp of Image Medicine’s healing and health maintenance skills. Worldwide there are now around twenty Image Medicine health institutes, with full-time service personnel numbering approximately 3,000 people. This progress has paved a rich and vibrant road for the study of orthodox traditional Chinese medicine to travel the world. “All China Outstanding Contributor to Progress in the Study of Traditional Chinese Medicine External Healing” award. In 2006, Image Medicine’s “miraculous” therapeutic methods caught the attention of the United States Congress, and underwent meticulous scrutiny. On June 19th of that year, Prof. Xu Mingtang received two congresspersons’ invitations to a hearing that was delivered before members of the United States congress, top level medical professionals, and Japanese dieticians. Using precise English, Professor Xu explained the knowledge related to Image Medicine theory, and for the very first time Chinese medicine was presented before the US Congress on Capitol Hill. That same year in Russia, Image Medicine received great accolades. It not only received the Russian Department of Health’s endorsement, but Prof. Xu Mingtang was called several times to the Kremlin to diagnose and treat complex illnesses. These events, displaying the prompt and undeniable effects of image medicine, shook the Western medical world and were published one by one in the American and European press, earning great respect for the level of accomplishment of Chinese medicine. 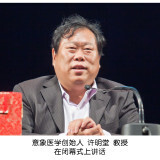 However, Image Medicine’s position did not leave Prof. Xu Mingtang with any real sense of achievement. After all, back home in the ancient birthplace of Chinese culture, Image Medicine still remained unknown. As a Chinese doctor, Prof. Xu Mingtang had a responsibility to unearth and modernize the lost and nearly unteachable treasures of the Bian Que school of medicine and present their miraculous light to China. 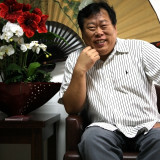 In 2009 Prof. Xu Mingtang took Image Medicine, founded as it is on the Bian Que school of thought, back to its homeland. Although it is well-recognized as a burgeoning form of healing in the West, the Chinese found it unfamiliar and shocking. Not merely throughout the Kundawell centers of the world, where most of the Image Medicine healers are blonde -haired and blue-eyed, but even in the Beijing Kundawell Institute most of the healings given to Chinese people are conducted by Westerners via translation. “Seeing the illness to treat holistically” is ancient Chinese medicine’s most representative concept, and in the Chinese medicine of today’s full-throttle march towards progress, were it only to embrace this concept it would develop truly outstanding talents and stand as a tower in the international world of medicine. Since his return to China, Prof. Xu Mingtang has been focused on changing the status quo and bringing the ancient legacy behind Image Medicine back into the everyday lives of the Chinese people. Thanks to the increasing popularity of Image Medicine, standing at Prof. Xu’s side are an ever-increasing number of outstanding individuals who share his focus on ancient Chinese medicine’s transmission and progress. The Beijing Kundawell Center’s Director Li Deming is one such person, and can be called a true foundation-layer in the calling of Chinese medicine in new China. As a disciple of the eminent Chinese doctor Lu Bingkui, Li Demin sticks to his esteemed master’s principle that “Chinese medicine is truly a great undertaking one must be ready to travel great lengths for.” In this fashion, Prof. Xu Mingtang has put his heart to the task of researching and popularizing Image Medicine theory. To this end he has made important contributions. 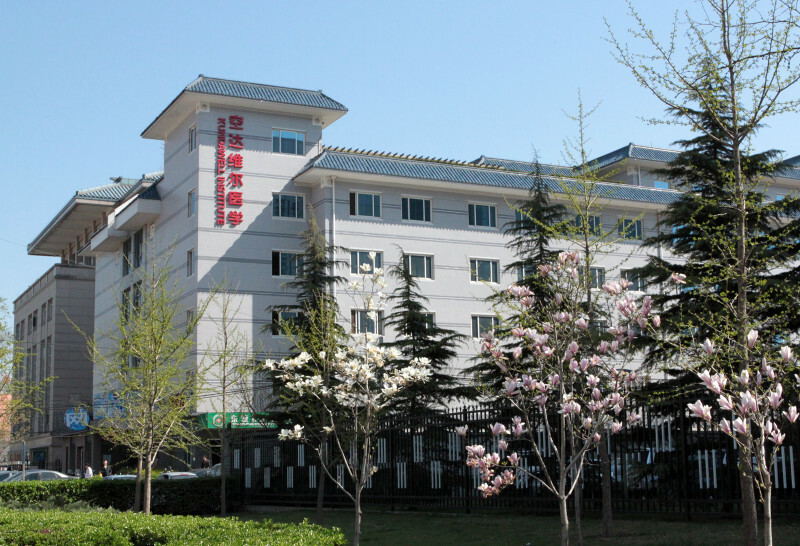 As of now the Beijing Kundawell institute has already been open for over a year and has admitted more than 500 patients from the United States, Canada, Russia, Latvia, Ukraine, as well as other countries for special treatment. The results of their healings have generally been outstanding. 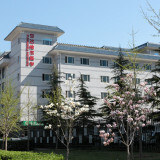 In 2009 Kundawell also held four courses in Image Medicine for Chinese students, training more than 220 students. Prof. Xu clearly cares deeply about Image Medicine’s progress, but he is far more deeply concerned about the state of traditional Chinese medicine education as a whole. According to Professor Xu, traditional Chinese medicine education in China itself is already lagging. The problem is not only that there has been a drop in the quality of students in the field, but also that traditional Chinese medicine as a whole has a deficiency in its theoretical system. In textbooks currently in use, one finds mention of pulse diagnosis but no discussion of finding the “image” in the pulse; the internal organs are discussed, but never the “image” of the internal organs that can be seen by doctors; and although “image” is sometimes discussed, it is only in terms of what can be seen externally with the naked eye and never what exists within. Diagnosis-at-a-glance, when it is described, refers merely to looking at patients’ tongues and eyes, and never looking within. Prof. Xu Mingtang wishes to further promote Image Medicine, but his goal is not a commercial one and he does not mind the idea of being surpassed. Rather, his hope is that his own work popularizing the modality will get more and more people to grasp onto Image Medicine so that it may enter into and then help facilitate traditional Chinese medicine’s progress. Originally published in Top China Magazine, this article introduces Xu Mingtang’..
Mingtang Xu introduces his system of healing, diagnosis and treatment, and also..
Claire Johnson founded ZY Qigong North America in May 2000, and served as Presid..
Xu Mingtang talks about "image" - a key concept in CIM and Zhong Yuan Qigong pra..
info@zyqigong.org | Copyright © 2019 North American ZY Qigong Association.